A distinction is often drawn between governing with the head and governing with the heart. 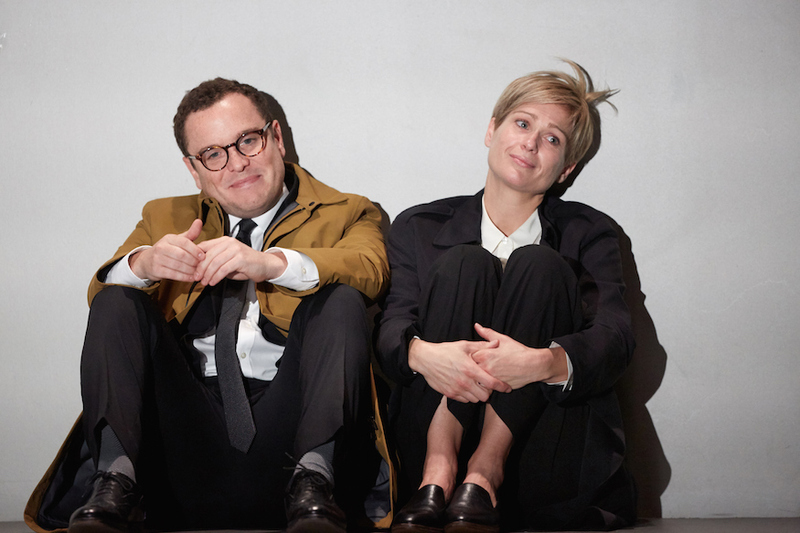 The politics of reason and of emotion are more separate than they’ve been for ages — and it is in these divided times that David Hare’s latest play, I’m Not Running, has been written. It imagines a tempestuous student couple in 1997 whose lives diverge, ultimately becoming Westminster rivals who typify contrasting thought on the Left in 2018. 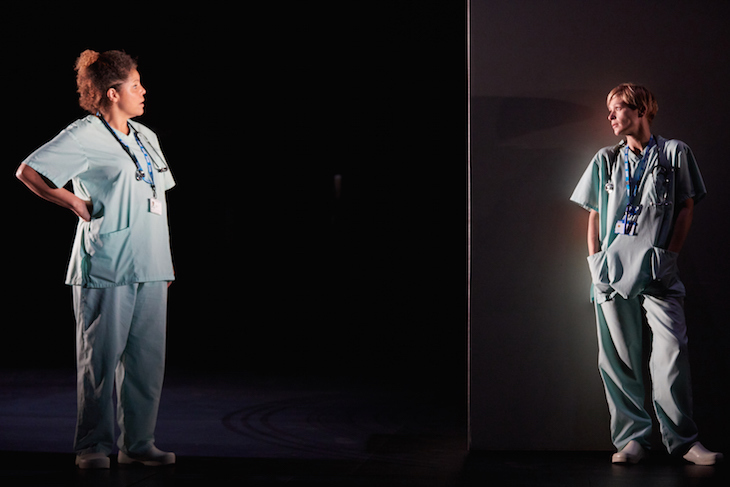 The political football both are destined to boot is the NHS: she (a show-stealing Siân Brooke), the medic-turned-campaigner; he (Alex Hassell), the slick rationalist keen to reinvent the whole system. The plot is filled with ill people, unfolds against a backdrop of cutbacks, and is enacted on suitably dull set which whimpers ‘austerity’. Upkeep of personal image and the necessity of compromise are among the challenges thrown at this politician-pair in a story which ultimately struck us as a neat, if rather simple, paean to ‘outsider’ thought. In its two leads are a traditionalist and a renegade. Hare initially seems happy to entertain both world views (the same ones that have occupied the Labour party since the 2015 Corbyn leadership election). But the rogue trajectory of one of the characters leaves little final doubt about which world view is ‘right’ and which ‘wrong’. 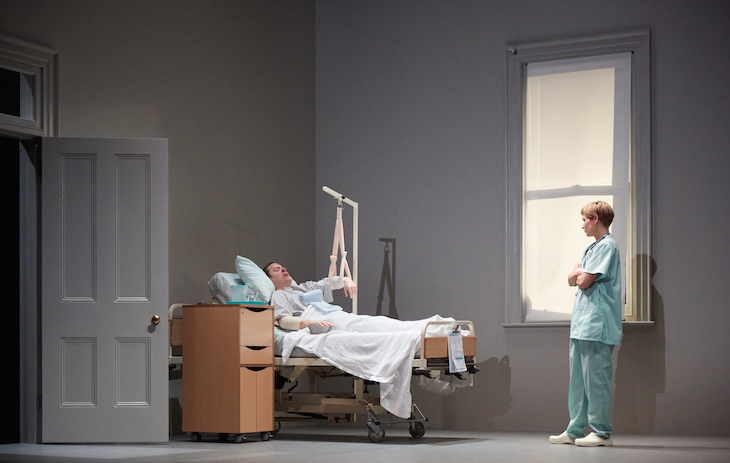 In that respect, what might have been a play no less timely than James Graham’s similar recent show, Labour of Love, still contains some of that dogma it seeks to take apart. But this is Hare’s 17th (17th!) show at the National Theatre. And whatever your party colours, the old master is still worth a watch for a couple of decent rib-ticklers aimed at politicians today. I’m Not Running, National Theatre, Upper Ground, SE1 9PX. Tickets from £15, until 31 January 2019 with National Theatre Live screenings on 31 January 2019.